Founded in 1673 on a First Nation site called Katarokwi, the settlement was eventually referred to as "the King's Town" in honour of King George III, with the name shortening to "Kingston" by 1788. Kingston is also nicknamed the "Limestone City" because of the many historic buildings built with local limestone. Kingston has a storied military and political history. Kingston was chosen as the first capital of Canada on February 15, 1841, and served in that role until 1844. 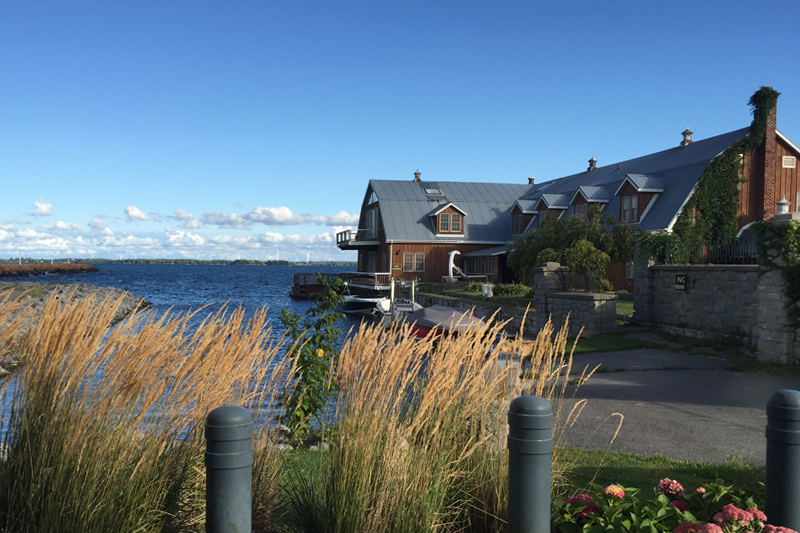 Kingston was also the home of Canada's first Prime Minister, Sir John A. Macdonald. There are 21 National Historic Sites of Canada located in Kingston, and in 2007, the Rideau Canal, along with the fortifications at Kingston, was designated a UNESCO World Heritage Site. Queen's has its own weather station too. The Faculty of Engineering and Applied Science has been measuring temperature, humidity, wind speed and direction, and solar radiation since the spring of 2004 from the top of Walter Light Hall. Kingston's most important sectors are: health care; education; government (including the military and correctional services); tourism; culture; and industry. Visiting Queen’s and Kingston for a few days? Special ‘stay and learn’ accommodation packages – and other offers designed to help you experience the city – are available from local providers. The BBC named Kingston as one of the top 5 university towns in the world. Nearly 30,000 students (from Queen’s, RMC and St. Lawrence) call Kingston home every year. It’s big enough to have all the conveniences you want and small enough to feel like home. It is just a 10-minute walk from campus to shopping, dining, theatres and water sports in Kingston’s downtown. Kingston is half-way to everywhere – Toronto, Montreal, New York State. Getting here is easy – by train, plane, bus or car. We know good food. Kingston has more restaurants per capita than any other city in Canada. Rogers K-Rock Centre! See some of the world’s best performers in a smaller venue. Winter! Skating on Market Square, FebFest and tobogganing on campus are just a few activities to enjoy. As Canada'a first capital, Kingston’s history is long and storied: enjoy a Ghost Walk, visit Bellevue House (home of Canada’s first Prime Minister) or Fort Henry.